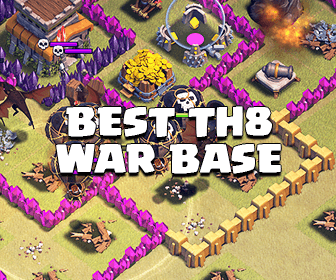 Hey guys, today I am going to show you some great examples of the Queen Walk strategy you can follow to improve your Queen Walk and utilize your Spells better, as well as have a better raid! Assuming that you use 4 Healers for the Queen Walk. 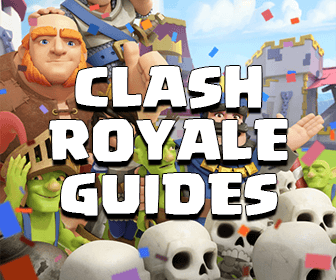 Also, If you are curious about “How many hits does the AQ need to take down a certain building”, please take a look at this guide, it would help your Queen Walk a lot! Many attackers (unfortunately) lure out the enemy King when using Queen Walk. If you don’t know, the Barbarian King level 20 can deal 208.8 to the Queen level 20 every hit while the Queen level 20 has 1,076 HP. Alongside with even just 1-2 point defenses, he can take down your Queen within seconds If you don’t activate the Queen’s ability. Why don’t drop the Poison Spell on the enemy King? You can decrease his attack speed and damage a lot and using the Queen’s ability will not be necessary anymore. It’s much more important to use the Royal Cloak at other situations. You also can drop 1 Wizard behind your Queen and he will help you kill the King faster. You will also want to drop the Poison Spell on the enemy Archer Queen. When your Queen is dealing with the Lava Hound in the raid, obviously she doesn’t take much damage from the Lava, but upon death, it can deal a decent damage to the Queen and the freshly summoned Lava Pups can deal lots of damage to the AQ. I have seen lots of players activating the Queen’s Cloak Royal just because of those Pups. Simply drop the Poison Spell on the Lava when it is nearly killed and the Pups will be removed quickly. You will also need to bring at least 1 Minion because sometimes even just 1 Pup can kill every single one of your Healers as you can see in the screenshot below. I hope this small guide can help you somehow improve your raid better. Clash on!